Like all programming languages, PowerShell uses strings very effectively and provides some interesting capabilities for a script. PowerShell uses four types of strings. 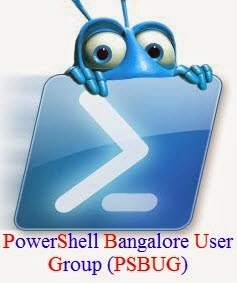 PowerShell uses strings as sequence of 16-bit Unicode characters and is directly implemented by system.string .Net type . Single quoted string in PowerShell are nothing, But string which is represented inside single quotes. Here you can see, I have stored 'String' in a variable named $var , But single quoted string is not able to substitute the value of the $var . So we can use single quoted strings where we don't want to substitute a variables value in it. Like single quoted strings, Double quoted string are nothing , but Strings included between two double quotes . PS C:\ >"This is a Double Quoted string"
But unlike single quoted strings, Double quoted strings can substitute Values for Variables. PS C:\ >"This is a Double quoted $var"
First Lets have a glance on Here Strings. Here strings are another way of representing strings , Especially while we have large amount including multiple lines. Here strings are effectively used when generating output for another program. But the same can be achieved regular type of strings which we discussed before. Then Why Here Strings ? Here we Can see the syntax for here string. the <newline> is important as strings between the quotes are treated as Here Strings and the first and last new lines are not included and the main advantage is , we can include single and double quotes regardless the type of Here Strings whether it is single Quoted or Double Quoted. Here the variable is substituted for $a, Single and Double quotes are included too !!!. And Single Quoted Here Strings are here strings using single quotes where variables are not substituted with values - @'<newline><string><newline>'@. Double Quoted Here Strings are similar, But uses Double quotes instead of single quotes and the variables are substituted here.